By Dr. Xuezhong Yu, project lead for MK22:balancing river health and hydropower requirements in the Lancang River Basin. 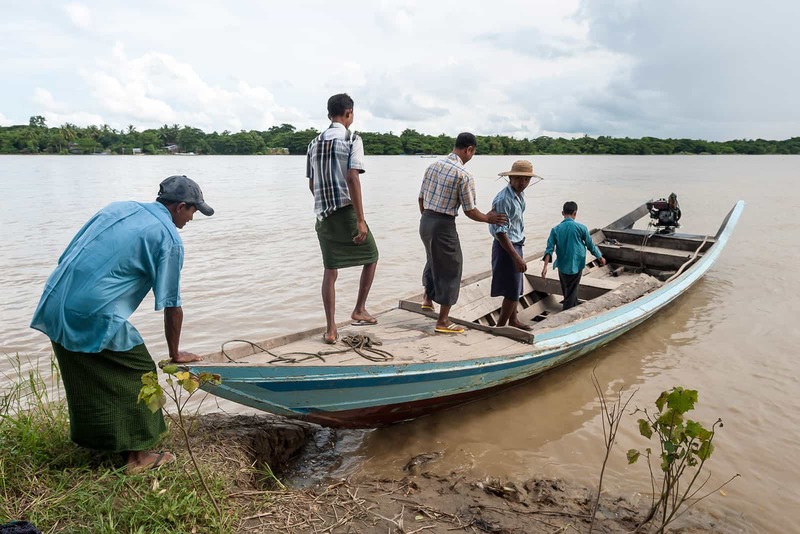 The opinions expressed in this article are the author’s own and do not reflect the view of the WLE Mekong or of its partners. The CEO of the Mekong River Commission (MRC), Dr Phan Pham Tuan, recently stated that “hydropower won’t kill the Mekong River”, prompting rapid rebuttal from around the Mekong Region. 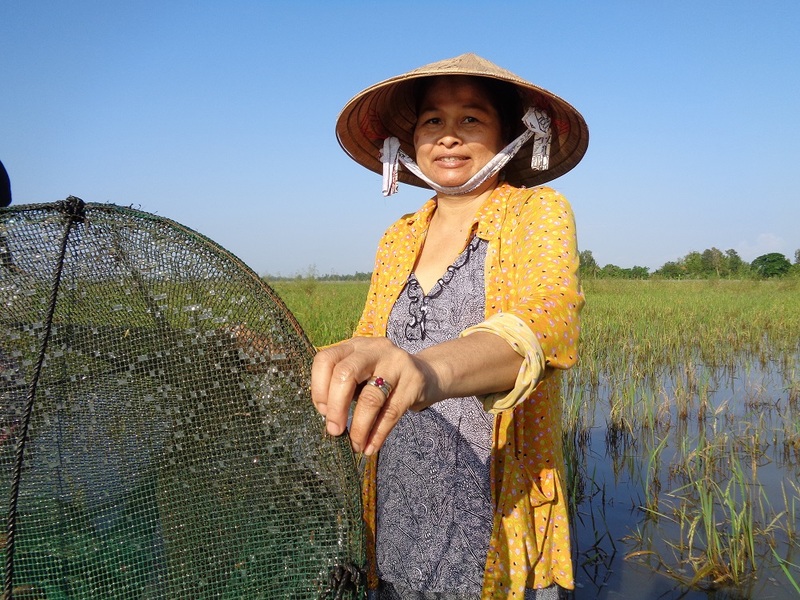 In this blog, I set out to examine this question based on experience from the Chinese part of the Mekong River, the Lancang River. 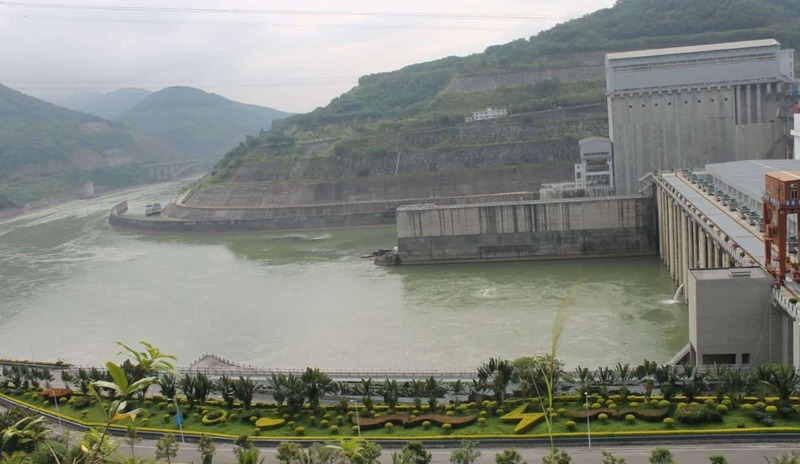 Hydropower development began three decades ago and there are six large dams in operation on the Lancang mainstream, and lessons derived from this hydropower implementation may have relevance to downstream countries. 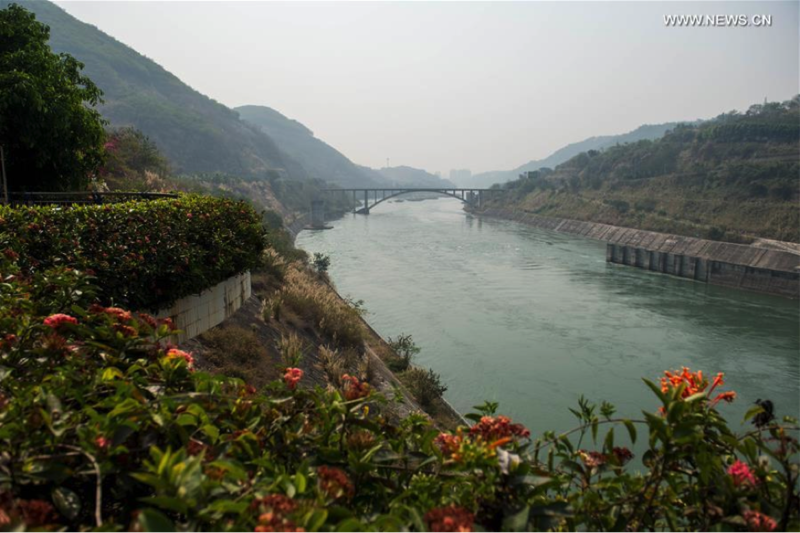 Since 2015, researchers from Canada, China, and Laos have been working on a project entitled ‘Balancing River Health and Hydropower Requirements in the Lancang River Basin”, and initial results are now emerging. 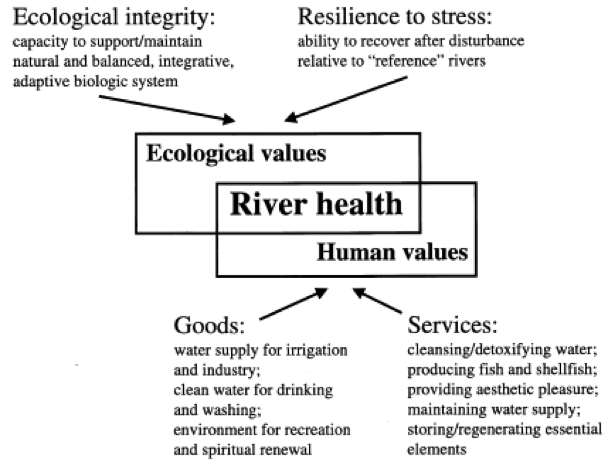 In our project, both ecological integrity (maintaining structure and function) and human values (providing goods and services) are explicitly incorporated into the definition of river health (Figure 1). Meyer (1999) defined a healthy stream as an ecosystem that is sustainable and resilient, maintaining its ecological structure and function over time while continuing to meet societal needs and expectations. Inclusion of human values doesn’t only mean human can benefit from rivers but also emphasizes the balance between ecological integrity and human values. Often human uses of rivers conflict with ecological integrity or within each other. A river is unhealthy if only a few of components or uses can be satisfied. Furthermore, the concept of “kill the river” or “dead river” can be interpreted as a river that loses most of the function, resilience, and values. We developed a method for measuring both the state of river health, as well as how hydropower development has impacted them. 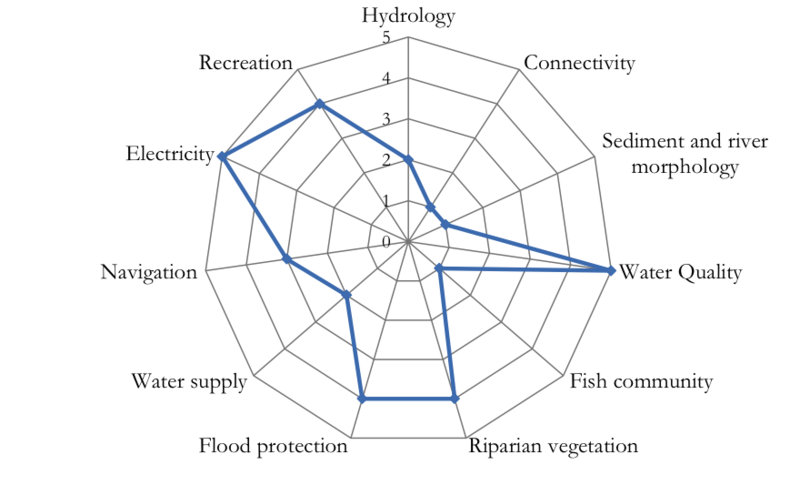 We focused on ecological and social indicators (Figure 2), and by comparing conditions before and after hydropower development, we can then judge river health. We also thought about the size of impact: was it modest or perhaps severe? By comparing with reference values as a benchmark, each indicator is ranked along a scale from ‘critical’ to ‘very good’: critical, poor, fair, good, and very good. 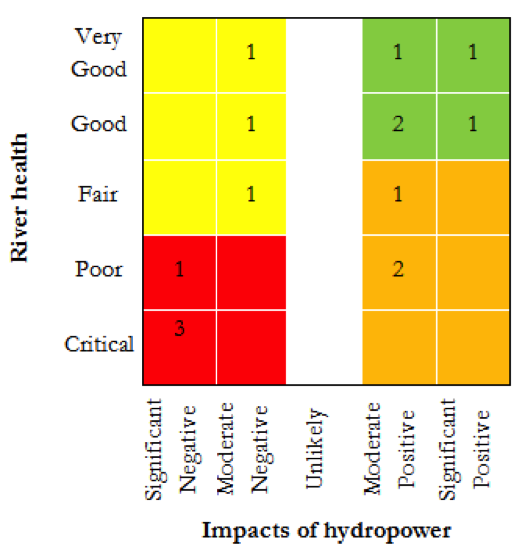 In this way, we could develop a matrix, examining river health and the impacts of hydropower development (Figure 3). The matrix contains 25 possible combinations, with five river health states and five hydropower impact scenarios, which can be grouped into four broader categories representing types of state and impact. Our project team developed the above method and applied to the middle and lower reach of the Lancang River where six large dams are located. We also looked at how Chinese mainstream dams might affect river health in the downstream countries, especially after two large dams (the Xiaowan and the Nuozhadu) began operations. Some of the initial results of our work are shown in the spider diagram below (Figure 4). Three indicators are categorized as ‘critical’. The first of these was ‘river connectivity’, which refers to a river’s ability to transfer energy, materials, and organisms between specific locations on the river and floodplain. The second critical element was sediment and river morphology (the shape of a river’s channel) – because these dams capture very large quantities of sediment, and strongly affect the shape of river channels. And finally, fish community – because dams prevent fish from migrating and alter habitats. Two indicators were assessed as ‘poor’: hydrology and water supply. One indicator was classified as ‘fair’: navigation. Three indicators are evaluated as ‘good’: riparian vegetation (vegetation along the river bans), flood protection, and recreation. Two indicators are assessed as ‘very good’: water quality and electricity. In Figure 5, we display our 11 indicators in the matrix we presented earlier (in Figure 3). Some of these are rated as both positive and negative, coming to a total of 15 presences in the matrix. There are five indicators in ‘green zone’: water quality, riparian vegetation, flood protection, electricity, and recreation. Thus, for these indicators, river health is good and hydropower has contributed positively to achieving this status. 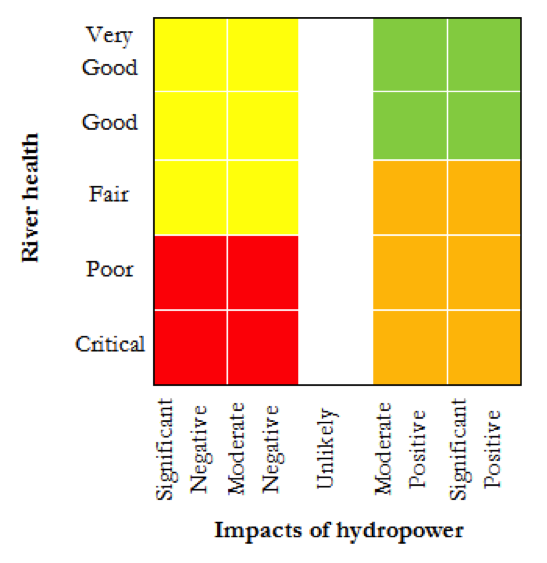 Three indicators are in the ‘yellow zone’: water quality, riparian vegetation, and navigation, indicating that while river health is good for these indicators, they have been negatively impacted by hydropower dams. For these indicators, therefore, efforts need to be made to manage hydropower in order to potentially improve river health. Four indicators are located in red zone: hydrology, connectivity, sediment and river morphology, and fish communities, indicating river health is generally poor and that hydropower has caused these problems. Three indicators are in the ‘orange zone’: hydrology, water supply, and navigation, indicating that river health is generally poor, but that hydropower has contributed to improving it. Note that assessment of river health and hydropower impact is dynamic and may vary with time and information available. For example, the baseline data of fish community was usually based on historical survey over several decades but the post-project data was generally obtained from filed survey over several years. The assessment result of fish community may be different with additional monitoring data after a longer period of time. Additionally, improvements of mitigation measures also have the potential to improve the assessment results of river health and hydropower impacts. There are, therefore, both positive and negative impacts to the Lancang River as a result of hydropower development. The most significant concern is the remarkable decrease of fish species comparing with the pre-project conditions mainly due to the river fragmentation and changes to hydrology. In addition, hydropower traps large quantities of sediment in the reservoirs, such that the sediment and river morphology is assessed as of critical concern. Conversely, water quality, riparian vegetation, flood protection, electricity, and recreation are in ‘good’ or ‘very good’ states. Our project does not think that the middle and lower Lancang can be considered ‘healthy’ because a number of indicators fall into the ‘critical’ category; but, at the same time, we do not think that the river is ‘dead’ because the river has not lost most of its functions and values. Meanwhile, our study indicates the river ecosystem of Lancang is still resilient to hydropower’s disturbance with the implementation of mitigation or compensation measures. There are those who would argue that the inclusion of social indicators artificially improves the results of river health assessment. In a highly developed catchment that supports essential economic and social activity, it is important to recognize the importance of these social and economic values of the river and it is unrealistic to expect that rivers can be returned to a near natural state. Strategies and programs for river health should aim to balance environmental, economic and social values. Meanwhile, social indicators also have ecological implications. For example, flooding is often associated with destruction of ecological integrity of the river and it is hard to deem that floods are entirely natural events with an ecological purpose. In general, hydropower enhances socially- and economically-desirable values, while decreasing ecological values. Post-project monitoring and mitigation measures should be improved to mitigate or compensate ‘poor’ or ‘critical’ impacts. Our project has examined the implementation and effectiveness of existing mitigation measures, and then proposed improvements to river health monitoring and environmental mitigations. The objectives of the river health monitoring were to evaluate the effectiveness of mitigation measures undertaken during the construction and operation of hydropower projects, and to evaluate the project’s effects on aquatic ecosystem. In this way, the monitoring program may encourage hydropower developers and government agencies to protect and enhance river health. Greater consideration of environmental flow requirements and fish habitat restoration are two major approaches for further mitigating adverse impacts. These efforts require hydropower operators to develop a fish mitigation program to modify hydropower operation and habitat restoration. Hydropower plays key role in low-carbon energy and water management that are particularly critical for supporting economic and social development in the Mekong region; but hydropower dams may cause significant negative environmental and social consequences. 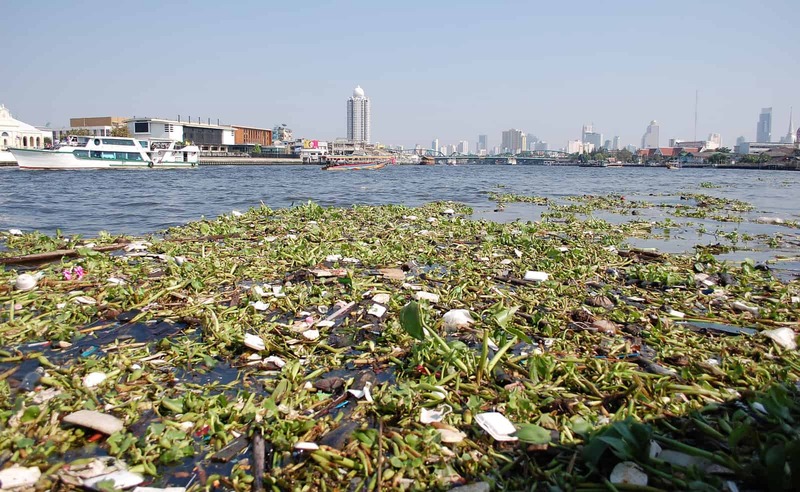 However, hydropower projects will not kill the Mekong River if they are deliberately planned, designed, operated, and managed for reducing adverse environmental consequences. 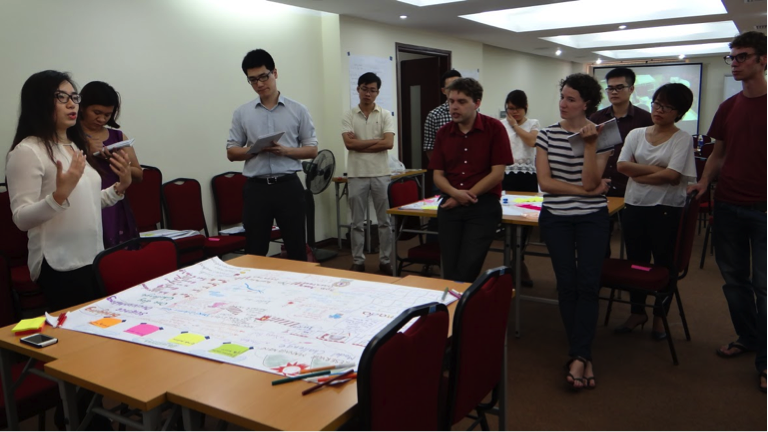 With huge and untapped hydropower potential in Mekong countries, Strategic Environmental Assessment (SEA) and a system-scale hydropower planning approach are recommended for adoption to improve hydropower outcomes by trading-off benefits and costs. 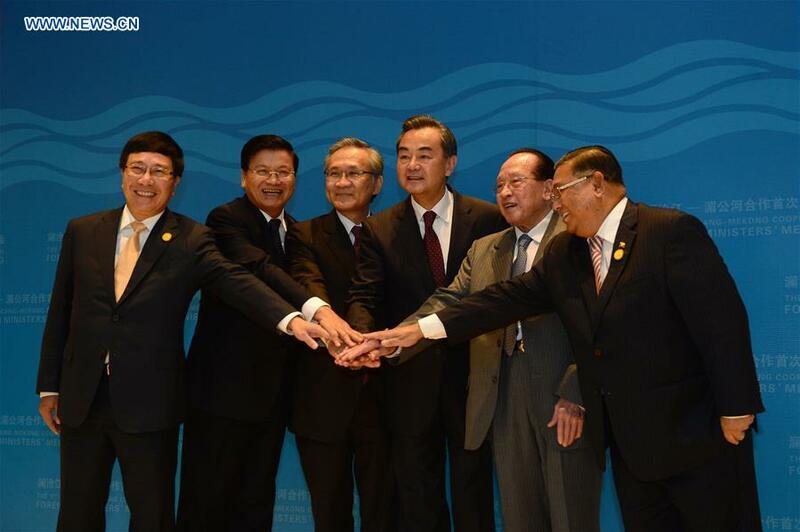 Collaboration on hydropower development is the core of water resources collaboration between China and Mekong nations. The transboundary effects of Chinese dams have triggered substantial public concerns that require close communication and collaboration. The joint operation of dams on the Lancang River and Mekong mainstream will produce significant economic and environmental benefits. As a major hydropower investor in Mekong countries, the sustainability improvement of China’s hydropower investments will help produce a “win-win” result for China and the host countries. Our project organized a training and field trip in Xayaburi in last December. When we visited the Xayaburi hydroelectricity project, I was impressed by the environmental management plan of the project. The project developer undertook the Environmental Impact Assessment (EIA) and Social Impact Assessment (SIA), and Environmental Management Plan (EMP) and Resettlement Management Plan (RMP) were developed and implemented based on the EIA and SIA. In order to reduce the impacts on fish migration, the scientists and engineers collaborated on the design of several independent fish passing facilities including a fishway for upstream migration, a navigation lock adapted to serve as a fish lock, a fish passage and fish friendly turbines for downstream migration. A number of cutting-edge techniques including hydro-acoustic camera, fish swimming ability tests, physical hydraulics modelling, and fish friendly turbine were applied at the study and design of fish passage facilities. Many of these measures are international good practice and show the efforts of the developer for managing potential environmental consequences. Certainly the effectiveness of these efforts should be further verified by post-project monitoring, but it is indeed a performance deserving praise for adopting higher standards in Laos as it seeks to leave the UN list of Least Developed Countries (LDCs).